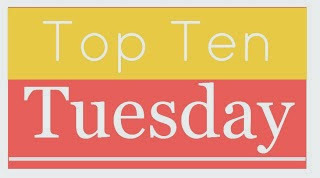 This week’s Top Ten Tuesday (hosted by the Broke and the Bookish) asks for the ten books recently added to your TBR list. Here’s my list in no particular order. Time to start a new week with Musing Mondays hosted by A Daily Rhythm. 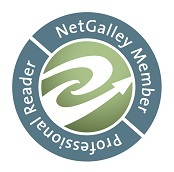 This week’s random question asks: How old were you when you realized that you are an AVID reader? My father was in the military and I grew up on bases. I was able to ride my bicycle to the base library from a young age and check out books for myself. I think I realized I was an avid reader early on when I realized I’d read all the cartoon collections and books by my favorite authors that the library had and was going to have for the near future. If you were presented with the opportunity to have a do-over in life, would you take it? How about multiple do-overs? And what would the intended and unintended consequences of such a decision be? Bryan Lee O’Malley delves into those questions in his latest graphic novel Seconds. On the verge of entering her third decade, Katie is on the brink of great professional success as a chef for her own restaurant. Oh sure, she’s got a few regrets like the ex-boyfriend she still has feelings for, the affair she’s carrying on with the new chef at her old restaurant and that she unwittingly caused injury to one of the servers at her old restaurant. But then Katie discovers a box with a notepad, a mushroom and a written set of instructions in it. Katie has to write down her regret, eat the mushroom and go to sleep. In the morning, she’ll find everything changed. Katie experiments with undoing the injury to her co-worker. And while the house spirit says it’s only wish per person, Katie soon finds where the mushrooms are growing and sets about putting right every wrong decision she’s made in her life. It’s not helped by the fact that Katie is a bit selfish and that many of her wishes involve her wanting to have her cake and eat it too. But while the world changes around Katie, she has no memory of the events leading up to the change, which causes some confusion and heart-ache for her and those in her life. Even a simple thing like trying to undo a huge potential bill for her new restaurant ends up having consequences that Katie couldn’t or wouldn’t foresee. O’Malley’s follow-up to the Scott Pilgrim series is a fascinating, thought-provoking piece that asks a lot of interesting questions and doesn’t shy away from not giving us easy answers. O’Malley makes Katie likeable in some moments, but unlikeable in others as she makes wish after wish and doesn’t think about the consequences — or as she tries to avoid consequences for her poorly made decisions. The artwork in the book is rich and colorful and the book foreshadows the eventual resolution well both in the story and the art. If there’s one drawback to the book, it’s that Seconds doesn’t fully stick the landing. The ending is good, but after the build up of two-hundred or so pages, it still felt a bit rushed or that O’Malley wasn’t quite sure exactly if and how Katie’s story should end. It’s hard to believe that we’re celebrating the tenth anniversary of the revived Doctor Who — despite the evidence of my DVD shelf (which has eight seasons plus one year of specials). Part of me wasn’t ready to believe that the good Doctor was coming back until the first episode appeared on our screens all those years ago. All during that entire initial Christopher Eccleston season, I couldn’t convince myself that this wouldn’t be more than a one-season thing — a last hurrah and then we’d be done. And so I determined to enjoy the ride and not worry about how much, if any, more Doctor Who we’d get. Now we’re heading into the ninth new series and working on the fourth Doctor of the modern era. Yes, I may scoff at the sheer amount of Who collectible stuff out there today (do we really need a TARDIS spatula?!?) and the attitude of some segments of new Who fans (there are other Doctors besides David Tennant…though this argument reminds me of the long-ago Internet fans who felt that you were only a true Who fan if you liked only Tom Baker) but then again I never thought I’d get to see the 50th anniversary special shown on the big-screen to a packed theater of fellow fans. (Honestly, I thought it might be me and a couple of Who fan friends gathered together with pizza, watching a classic serial). 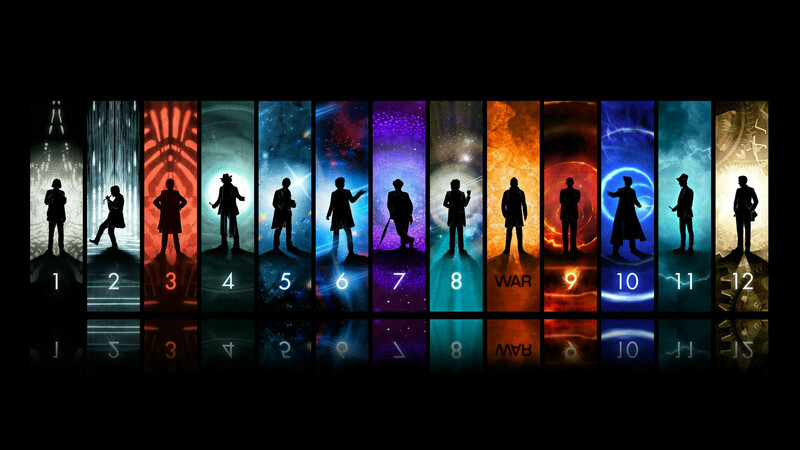 So, here’s to the first decade of the revived Doctor Who. Congratulations! With the Kindle app on my phone, I can have a book with me everywhere I go. And the best part is that as long as I’ve updated to the cloud on my various devices, I can start in the same place I left off no matter which device I’m using. That’s a very cool feature. I tend to have a paperback with me somewhere as well for most places I go. You never know when you might have time to read something! Raised a PK (preacher’s kid), Beulah Land was saddled with the “shame” of being a teenager mother and rejected by her family and church for years. Taken in by her generous piano teacher Ginger, Beulah has dealt with her reputation, her shame and her heartache for years by alienating herself from most other people in town, organized religion and God. Working as a waitress and piano player at a local dive bar, Beulah meets the towns’ new Methodist preacher, who just happens to be single and possibly carrying around a few regrets of his own. As a final request of Ginger (who is deteriorating with cancer), Beulah takes over as music director at the small church, playing piano and organizing an unlikely choir from regulars at the bar. This puts her in close proximity to Luke Daniels (who she dubs Preacher Man) and the two’s growing attraction is just one of the threads explored in The Happy Hour Choir. Another involves another girl finding herself in the same situation as Beulah did at a young age and the complications that arise from Beulah and Ginger offering her a home when no one else will take her. Over the course of this wonderful debut novel, we get to know Beulah and hear about her world. Beulah’s journey of self-discovery and the need to forgive herself and open herself to healing is as an authentic and moving story. And like the works of Robert Whitlow, Kilpatrick wisely allows her characters to be human with faults, foibles, strengths and weaknesses unlike too many of the other writers of contemporary Christian fiction. Beulah and her cast of characters even use a few “colorful metaphors” during the course of the story, but these are all completely necessary, earned and feel in-character when they crop up. On this week’s installment of All Good Things: A Star Trek Podcast, Barry and I delve into the early days of Starfleet General Order Number One, better known as the Prime Directive. We focus on the development of the Prime Directive in Enterprise and then how it was used (or ignored) by Captain James T. Kirk in the original series. 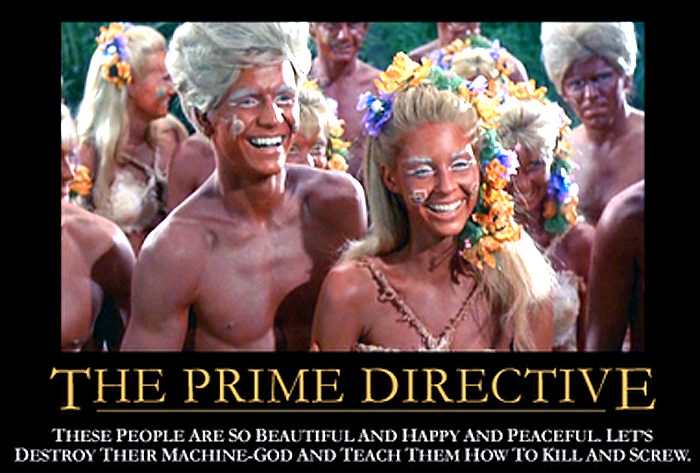 Was TOS consistent in the use of the Prime Directive? And was Kirk justified in breaking it all those times? And should Enterprise have dealt more with why future crews would need General Order One? All this and more on this week’s installment! You can download it via the link above or listen below.